L arch is a unique building material, and the tiles made of it are the harmony of strength and beauty which fits not only for the traditional but also for a modern architecture. Longevity, strength, aesthetic beauty and ecologic balance are the most important accents which have determined the popularity of larch tiles in West Europe. Larch has won distinction for many valuables properties. It was evaluated as a especially good building material in Venice. Because of its mechanic properties larch does not yield a point to oak and has one more super property – after drying it becomes resistant to must and waterproof. The buildings of larch survives for centuries. Each tile is handsplitted, Larch resistance is well – known throughout the world. It is extremely popular in Germany, Austria, Switzerland, Italy and other European countries, whose climate is characterized by relatively high humidity. In addition, the resistance of larch tiles to extreme weather conditions is officially approved by IBS license No. 6.2.95. 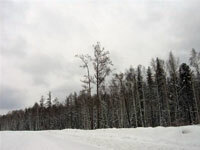 The resistance of larch is widely known all over the world. It is very popular in Germany, Austria, Switzerland, Italy and other countries of Europe where the climatic humidity is relatively high. Besides, the ghostwriting agentur resistance of larch tiles to extreme weather conditions is officially confirmed by the IBS license No. 6.2.95. Larch tile is a splendid building material not only because of its mechanic properties but also because of its appearance – the roof or walls covered with them meets high aesthetic requirements. A piece of nature with its soft and sharp lines as well as with colour of silver grey disgorges in chime into the landscape and provides the building with an exclusive charm.